Shoe cabinet, shoe rack, shoe organizer, shoe bench – surprisingly, it appears to be not so simple to figure out what exactly you need for keeping your shoes tidily. For a start you should carefully look inside yourself and your habits and, of course, remember your family members: how do you usually keep shoes and do you like the way you’re doing it? 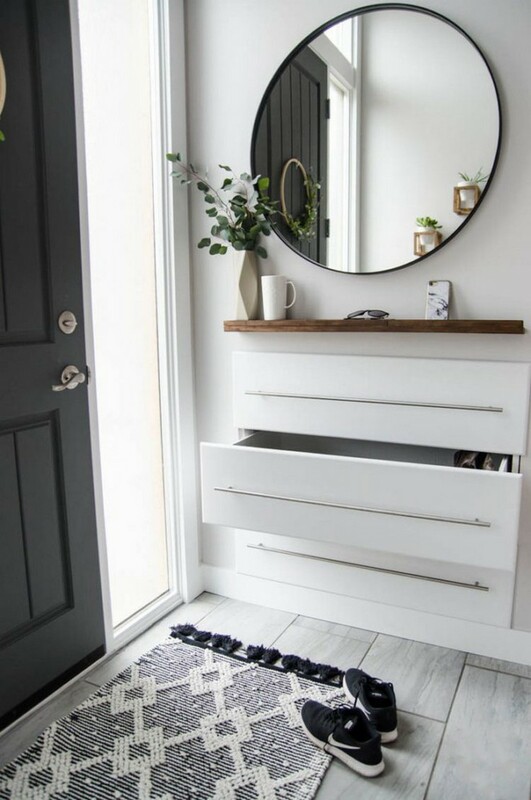 Secondly, deciding on the right way of shoe storage you should realize whether you’re ready to make your shoes an integral part of your interior or they should be kept out of side as long as it’s possible. To make your choice easier we selected plenty of ideas with photos, which would make your final decision well-thought-out and just perfect for you and your family. We wouldn’t try to influence your decision on choosing this or that format of shoe storage. 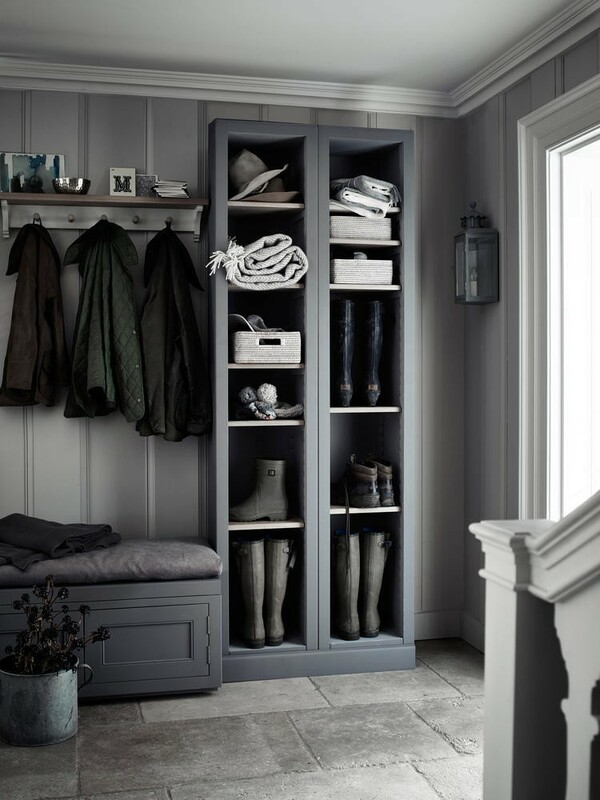 Just remember that if you live in moderate climate or the like, your open-toe sandals are likely to be found next to boots and rubber wellingtons, which means that looking for a storage system “for slip-ins” only doesn’t make any sense. Although, square meters permitting, you may put a roomy wall-to-wall shoe cabinet and keep your entire shoe collection in it. 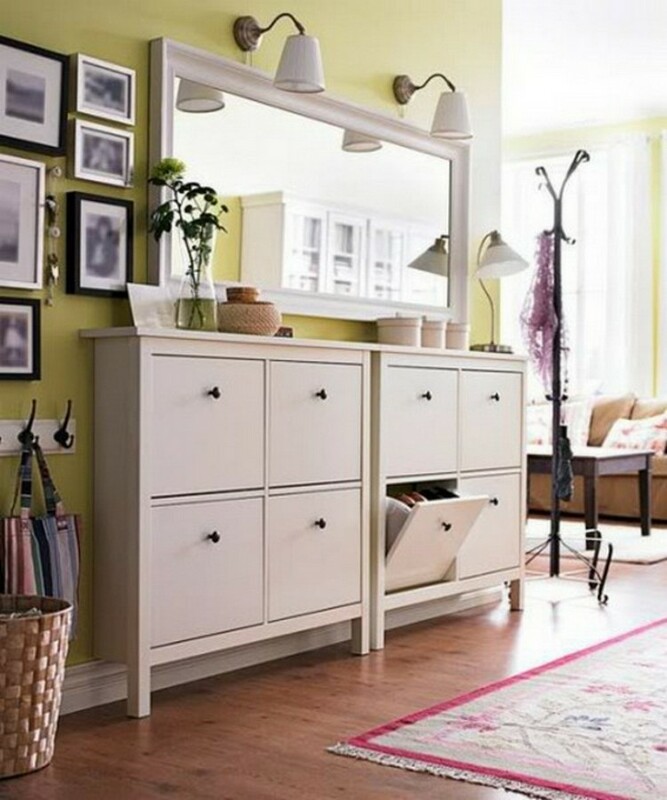 But if there’s no chance to get a full-fledged cabinet, you may opt for a multifunctional shoe unit with both cabinets and racks for different weather, or, for example, a wire rack for dirty shoes coupled with a fabric organizer for summer slip-ins. One more nice option for keeping shoes tidily is to use baskets and boxes for this purpose. 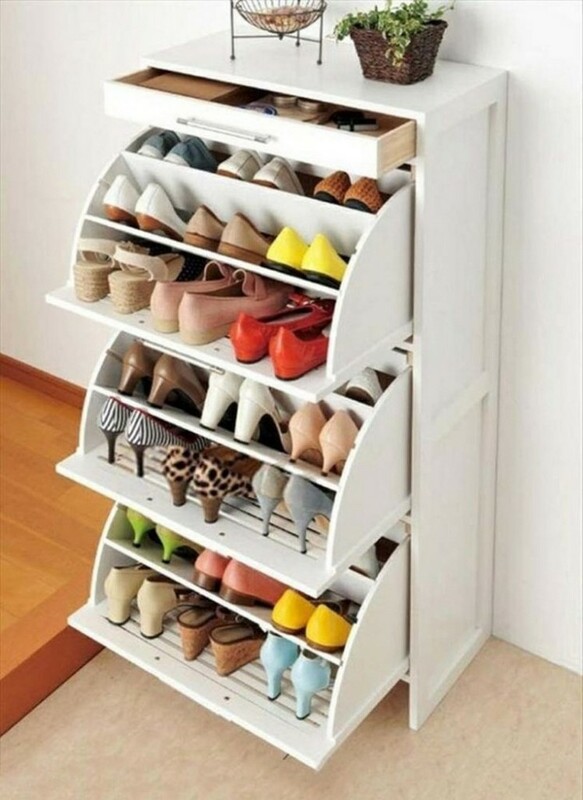 Perhaps, this is the neatest and most aesthetically pleasing way of shoe storage. Such a format would be especially relevant in Scandinavian-style, country-style and shabby chic interiors. 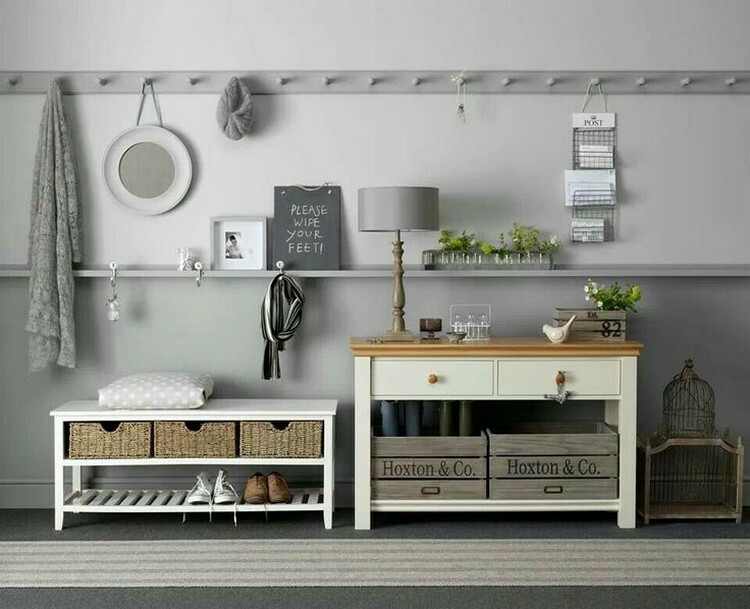 By the way, baskets may appear to be very useful in case your hallway is quite small and fit only for a narrow shoe cabinet. Besides, a few baskets with boots can be pushed under a bench or put next to an umbrella rack. 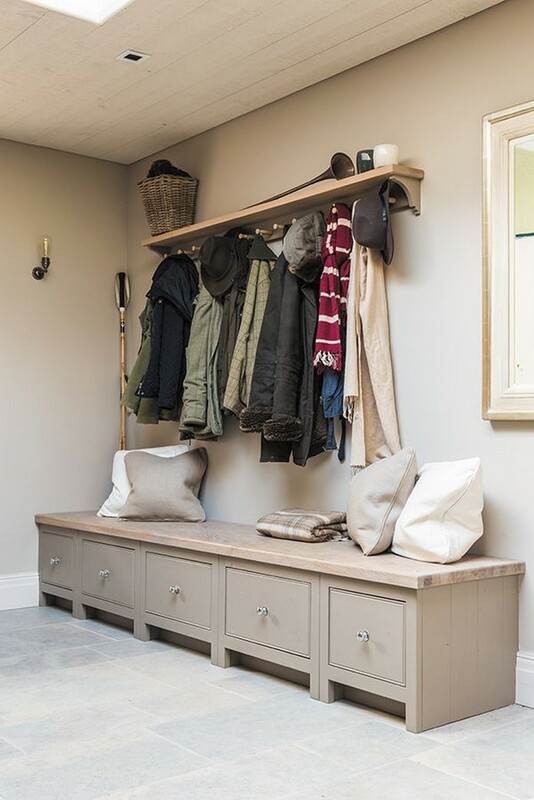 If a big hallway is what you can only dream of, then a shoe bench is what you need. 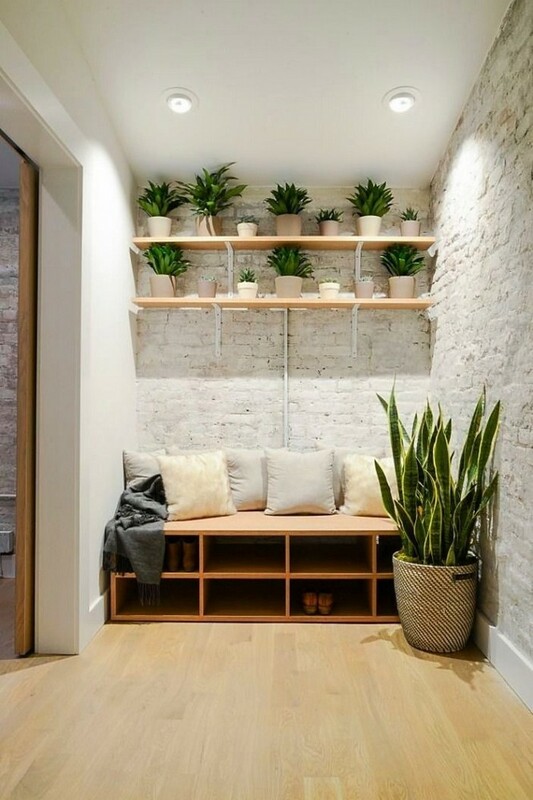 Now this piece of furniture is extremely popular and it would be no problem to find a plain wooden shelving unit that you can sit on or a full-fledged bench with a comfortable cushion and a roomy storage area beneath. As for the materials of shoe cabinets and racks, perhaps, the most popular, coziest and universal in terms of style is wood. The most lightweight and money-saving option is plastic. 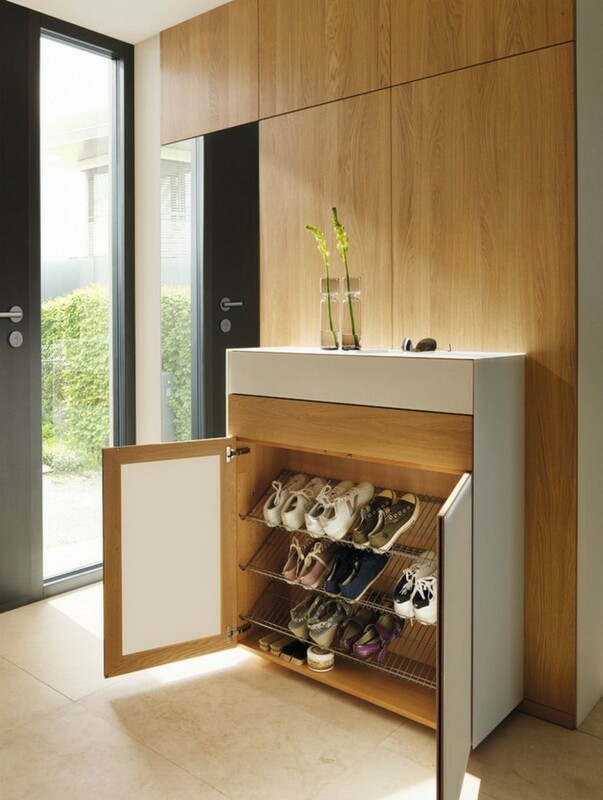 And if your interior is designed in loft style, nothing can keep you from getting a metal piece for shoe storage.